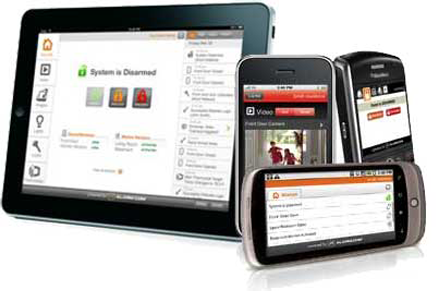 Control your Security system from any smart phone. 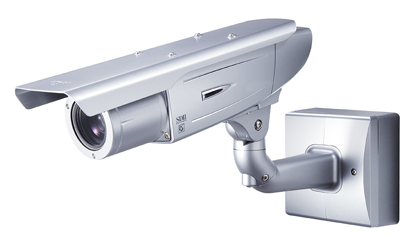 Our security are designed to be completely user friendly. 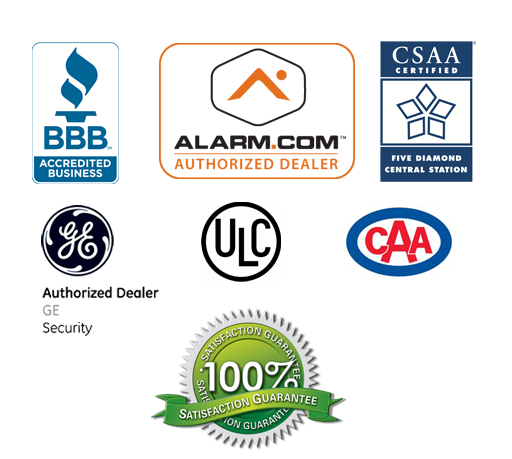 Canada Wide Security is one of the largest ADT Authorized Dealership offering Protectron Smart Security with various promotions of Free Alarm systems to home / commercial clients. ADT is the most trusted electronic security company in north America including Canada, protecting over 7.8 millions satisfied clients together we specialize in giving you security that gives you peace of mind and comfort for your home and/or business 24 hours a day / 7 days a week. The state of the art technology that we provide, protects you and your loved ones from burglary, invasions, fire/medical emergencies, natural disasters with simple, cost effective systems to most modern Interactive-Smart home automation systems. 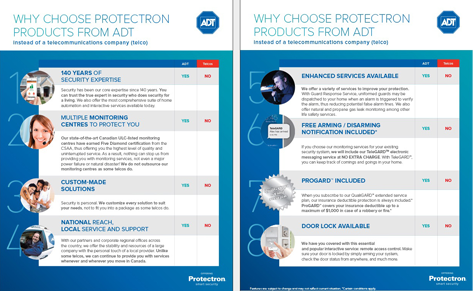 Immediate and full awareness With ADT-Protectron smart Technology stay connected to your home or business while on the go. With home automation, you can manage your security, lifestyle and home – all from the palm of your hand. Our security consultants can assist you in deciding what system is best for you and your lifestyle. WHY GET ADT SECURITY ? 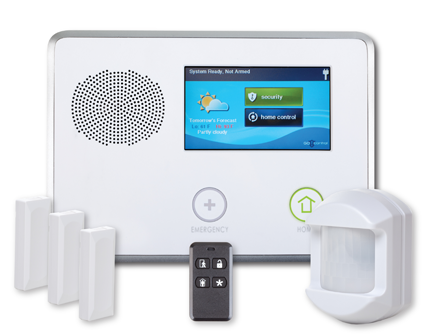 Find the best deals in your area for a monitored home security system that has the right features to suit your budget. Every package is affordably priced with valuable benefits that come standard with every monitoring plan. ADT is the Pioneer name in the Security Industry for over 157 years with 7.8 millions clients over the globe. We have 7 interconnected Emergency response centers. Choose the largest and most innovative security company to help protect your home and family. I wanted to call and say thank you so much…It has been a great experience with both Mr. Hanif, B your sales manager and your installer. I appreciate all your help and I can honestly say I slept a lot better last night and I have peace of mind knowing I am protected. I wanted to compliment both your technicians, they were great people to work with. I just wanted to send you an e-mail advising how pleased I am with your system and the work of your salesman, Mr.Hanif, B. Thank you for a very pleasant experience on a big ticket item. It was a pleasure doing business with Canada Wide Security. You recently installed a security system for one of our employees in the Brampton. The install was completed by your technician (Joe). We wanted to express that the Sales Manager Hanif performed the most professional, exceedingly excellent customer service and conduction of business that we have seen in a long time. I had my alarm system installed, and must tell you that the installer was not only knowledgeable and courteous, but he has lots of patience. He was most impressive, and did a wonderful installation in my home. You must be proud to employ someone of his caliber, and I appreciate the fact that your company trains your people this well, plus they have a personality to boot! Your Installed (S) should be commended for a superior job done, leaving me a very satisfied customer. I was very happy with my installation on Friday, November 30. My installation tech was very forth coming with helpful hints on how to best use my new security system. I am recommending it to everybody that I know. Thank you so much for helping me and my husband feel safe about our house when we are not there. I wanted to give feedback for Manager Hanif who serviced my house and installed the ADT. I was very happy with his service – he came right on time, ensured he kept my carpet clean by wearing clean slippers which he brought with him, explained to me thoroughly and patiently what he is doing and what I should be expecting, he explained very thoroughly how to operate the system and additional services and he offered that I can call him if I have any additional questions or clarifications. He is a great representative for your company and I would recommend this service to all my friends.
" ---Jesccia B. ~ Niagara Falls.--"
I just had my ADT monitored security system installed and I wanted to call to tell you how impressed I was with the technicians who installed the system as well as the Manager who came to sign up. The technicians were super professional through the entire installation process despite the fact it was a larger house and it took them longer than they expected. Again, I wanted to let you know how good a job your company did. I just had my ADT Alarm System installed at my new home and wanted to let you know that I had a fabulous experience with my installer from Canada Wide Security. He was a great installer and genuinely nice guy. Super Job.